I used one of my Christmas presents on this card the Large Sunburst die from Your Next Stamp. This is a great die for your using your scrap paper, I also have the smaller one, so much fun to use. Can't believe Christmas has come and gone already, had such a wonderful couple of days with family!! 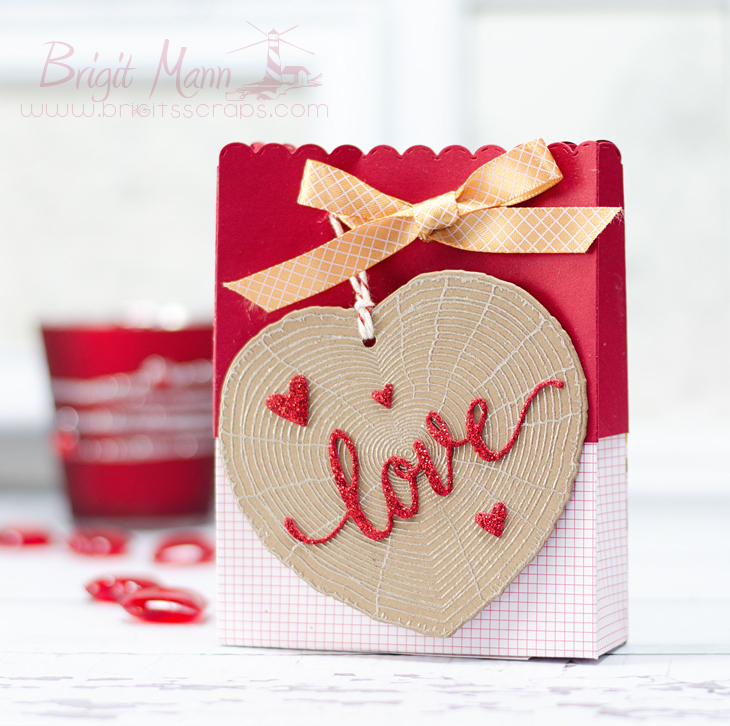 Well back to crafting again, it's Tag It Tuesday over at My Creative Time and I created this heart tag for a bag of Valentine Day treats. To make the bag I cut out two bags cutting off the bottom of the red one to use as the lid. This way you can leave the bow tied and just pull of the top part, it also makes the bag bigger. The love and hearts were cutout from some glitter foam I bought at Michaels, I love this stuff it cuts out so beautiful using the dies and gives some nice dimension. My Creative Time 50th Release Blog Hop! Welcome to My Creative Time's 50th Edition Reveal and Blog Hop! 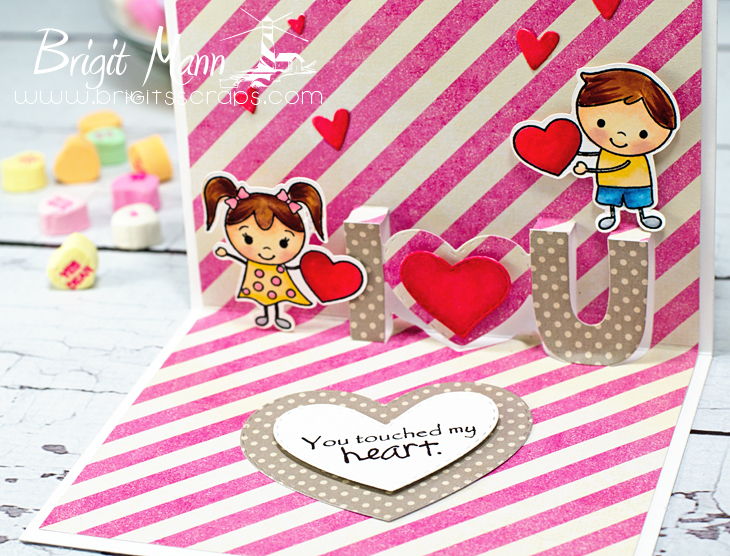 These sets are so adorable and fun, you definitely will love them. 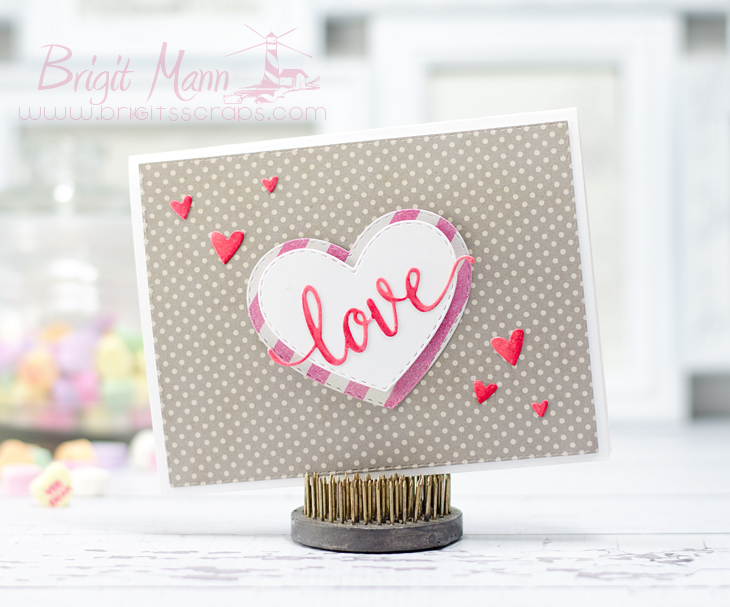 I love the scripted lettering of this die, so pretty, the bigger hearts are from the new You Touched My Heart Set and the little ones are from the Carved Hearts. And here is the I love U die, love it! The kids are from the new You're A Hit Valentine set. Our "Freebie" for this release is this ADORABLE "Love" die. It will be given to the FIRST 150 shoppers! If you are one of the 1st 150 shoppers it will be automatically added to your package at the time of packaging/shipping. Once 150 shoppers come through, this stamp & die set will be available for purchase. So, if it’s for sale in the store, you are not one of the 150. No exceptions will be made. This freebie set is not a part of the “bundle” and will be sold separately! ALSO, DON'T FORGET our sale starts RIGHT NOW here:http://shop.my-creative-time.com/New-Release_c40.htm! Use the code: DEC2015 to receive a discount off your entire purchase! This sale applies to "IN-STOCK" items ONLY. This sale will end on Fri, December 25th, 2015 @midnight PST. Next stop is Emily's Blog! Welcome back to another day of MCT Sneak Peeks! This set is adorable, love this little boy and also the little girl stamp in the set. I think the Carved Heart from yesterday's sneaks is one of my favorite stamps, so cool! I used the square die from the 4 x 4 Journal Die set and the banner from the Thanks For The Lift set. Create a project of your choice with a "Christmas Treats" theme. You must pick a file from SVG Cutting Files as your main focus. 1. Your project must be new. 3. Winner will receive a $10 gift certificate to SVG Cutting Files' store. 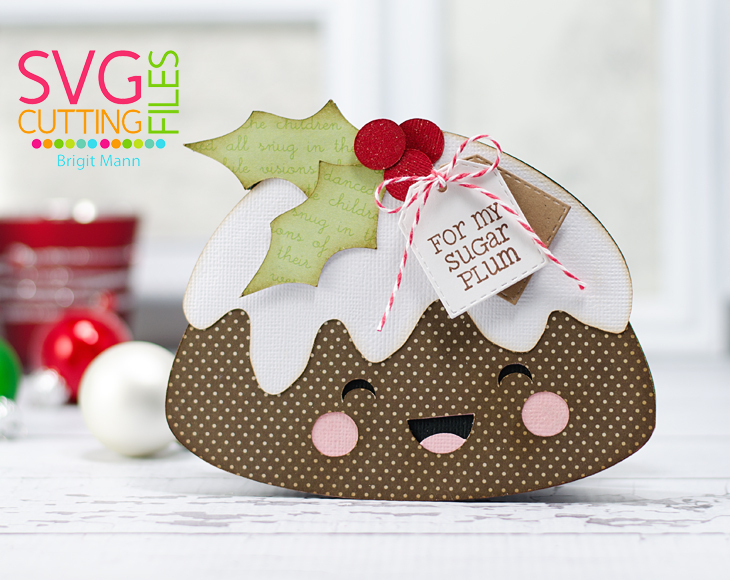 Here's my project using the adorable Kawaii Plum Pudding! 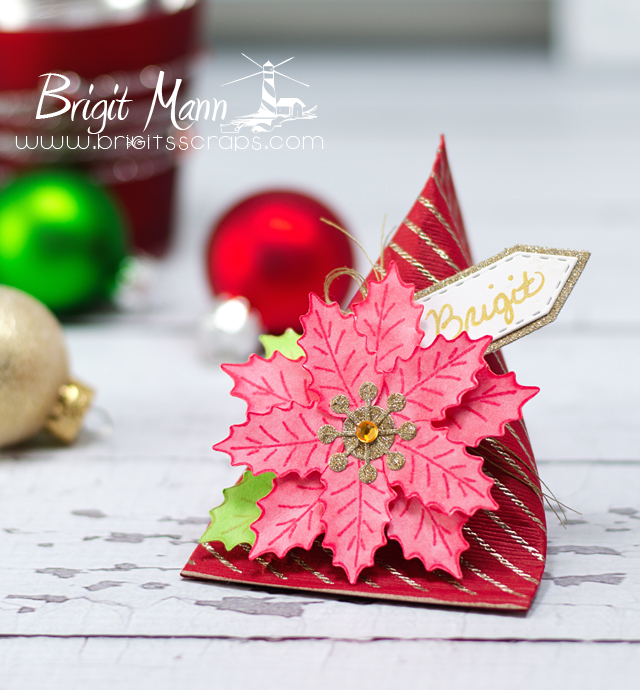 I used a sentiment from Jaded Blossom's Merry and Bright set and the tag is from the Mini Tags Dies 2. Hello and Welcome to My Creative Time's 50th Release Sneak Peeks!! We have a great week ahead of us, I'm so excited and I'm sure you will be too! This set will definitely come in handle, I don't cutout to many smaller words with my cutting machines so I love this set. To create my candles I used the die that's in the Fun Vertical Greetings Set and cutout three candles on white cardstock. I colored and created the diagonal lines with some Copic markers. The flames were cut using the Stitched Ornament Die and also colored with Copics. 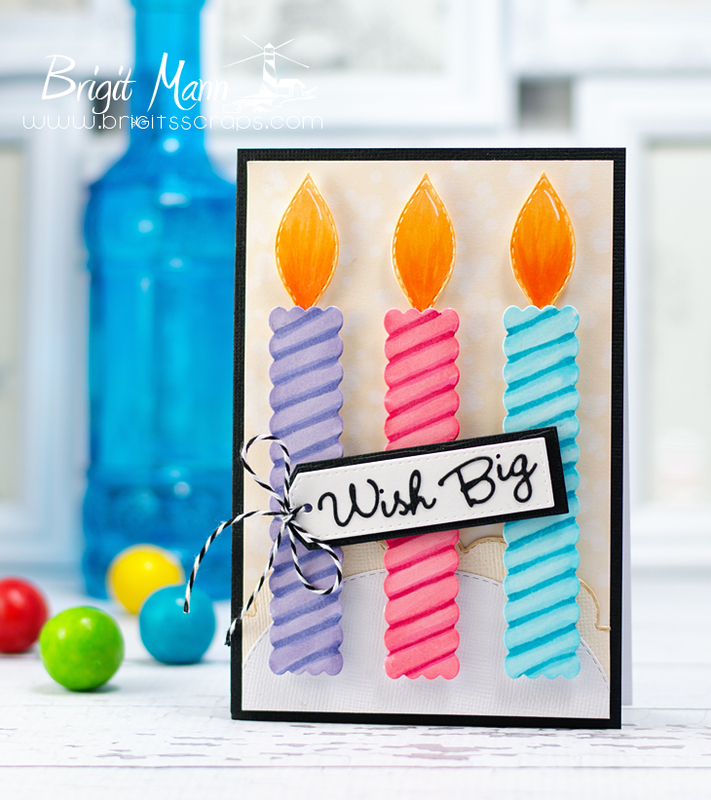 The Wish Big from the NEW Mini Greetings Set fit perfectly on the tag from the Holiday Tags Set. I used the Scalloped Stitched Oval Dies on the bottom of the card as the cake. I totally forgot to post this card I made using the Simon and Dexter Christmas Stamp set that I bought from Simon Says Stamp. This is set is so adorable, I just love both of these cuties. I love to make scene cards so these characters make it so simple and they are the perfect size. I wanted them to look like they were playing in some fluffy snow so I used the Lawn Fawn Puffy Clouds Border Dies instead of the Hillside Dies I usually use for snow. I added some glitter on the snow edges for some sparkle. The cardbase and layer were cut out using My Creative Time's Stitched Rectangular and More Stitched Rectangular Dies. This will be available in the store tomorrow. I think it's so cute, I made a shaped card in SSDE from the back layer by using the offset and welding the two shapes together. The file consists of the penguin, peppermints and wheelbarrow. The sentiment is from Jaded Blossom's Merry & Bright set, it was totally perfect!! The label is from their Mini Tag Dies. The face stamp is a Peachy Keen Face Stamp and I added a touch of Peppermint Stick Trendy Twine. Hi Everyone! Welcome to My Creative Time's What a Treat Wednesday. 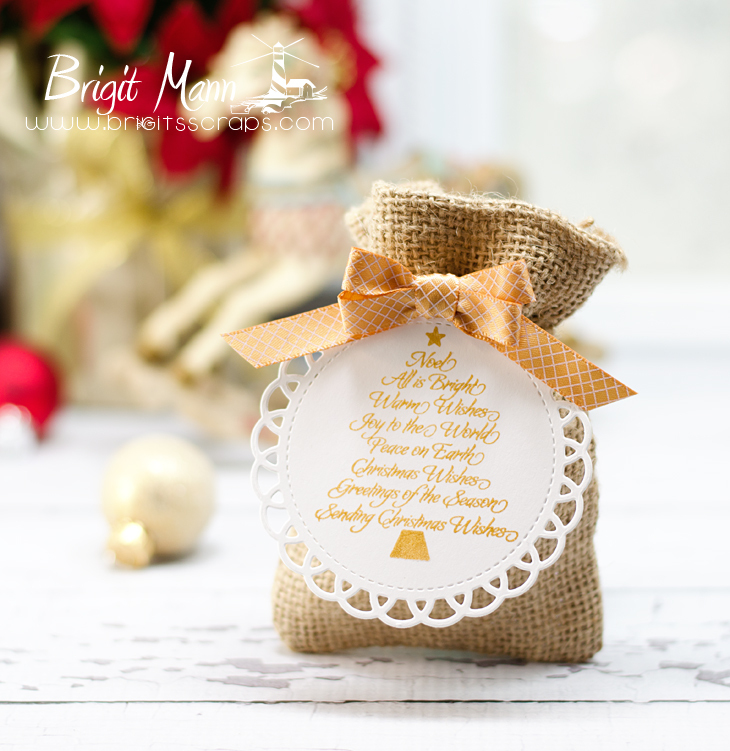 I created a quick and easy but elegant tag for my Christmas Burlap Treat Bag. These would be great to give co-workers or even at a Family Christmas Party. 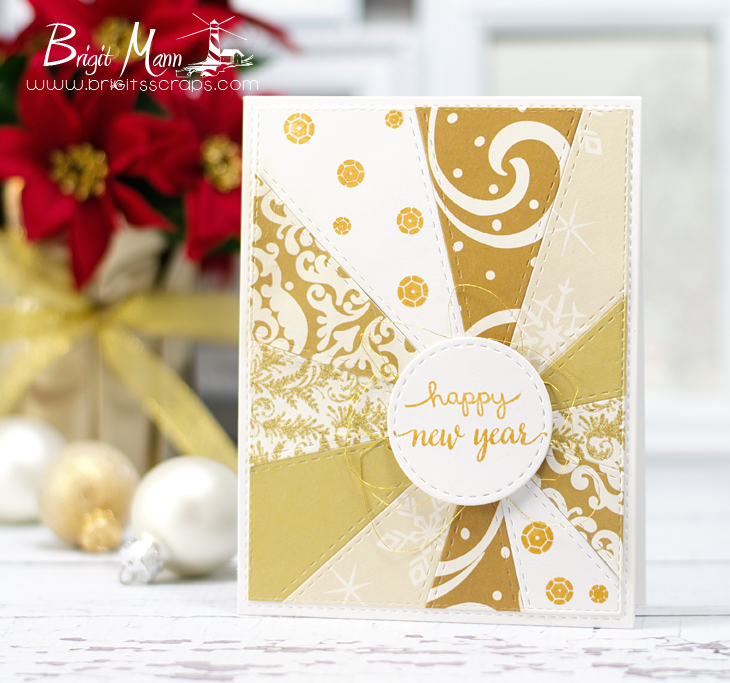 I used the stamp from the Just For You set and stamped with Golden Glitz Delicata ink and than embossed with clear embossing powder. The doily is from the Bunch of Stitched Doily Dies, I love using these as tags, so pretty. The burlap bag I picked up at Michaels, I always grab a couple so I have them on hand for gifts. I kept this simple because the stamp is so pretty it really doesn't need anything else, I love this set! It's the last day of The 5 Day of Christmas from My Creative Time! It's been an awesome week of fun projects, thanks so much for your wonderful comments, MCT fans are one of the best!! Don't forget about the daily AWESOME prizes so don't forget to stop by MCT's Blog for the details on how to win! For my project today I made a place setting treat box. 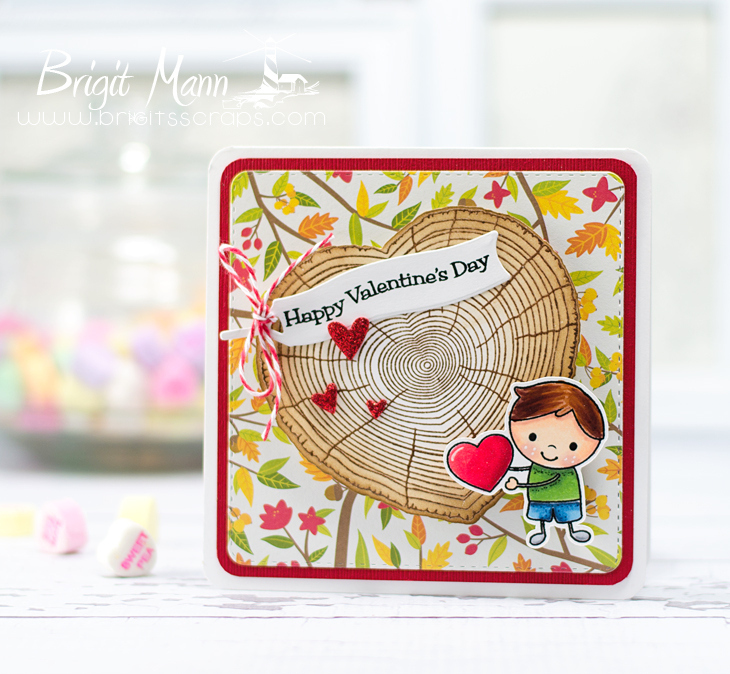 I used the Stripy Background II stamp on some red cardstock with Ranger Liquid Platinum Embossing Powder to for the sour cream container, (I cut mine the size of the background stamp). For the Poinsettia I used the leaves from the Boughs of Holly, stamped with Ranger Cherry ink, cut them out on my Brother ScanNCut2 and colored in with a copic marker. The center is from the Stitched Pretty Flowers cutout on Tim Holtz Deco Sheets. For the name tag I used the Teeny Tags Layering Die and wrote the name with a Uni-Ball Signo Gold Gel Pen. 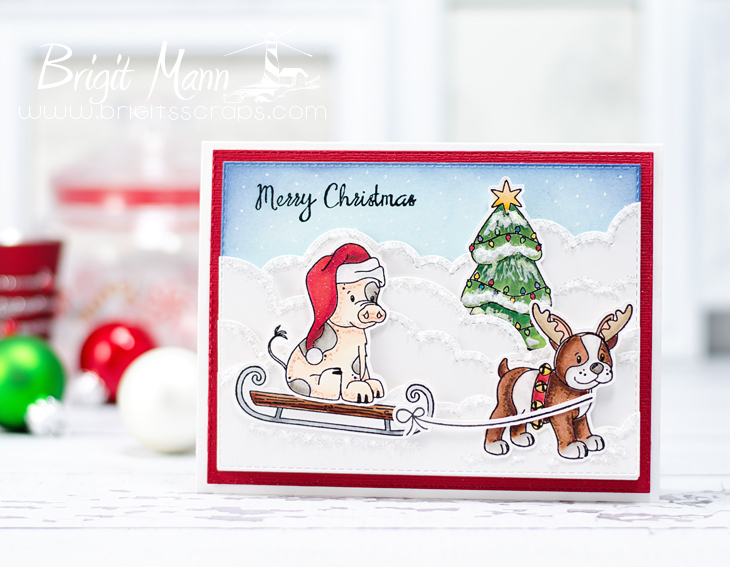 Welcome to the LAST Blog hop of 2015!! This is our Just Stuff it Hop! Great little small gifts and stocking stuffer inspiration for you to whip out for the upcoming holiday!! The DT has been busy creating little projects with a big bang! This will be the new platform for our hops moving forward. This Ornament Shaped Box can be stuffed with any kind of candies, I love peppermints so I put a bunch in mine. I also used the Kawaii Holly Berries, the stamped sentiment is from Jaded Blossom's Christmas Wishes and the label from the Mini Tags 2 dies. Next up on the Hop is Mel's Blog! I think Simon Says Stamps has adorable stamp sets, I used here one of their newest sets Peace Love and Joy. It's such a cute set, I picked it up along with Simon and Dexter Christmas. I used versamark and clear embossing powder and cut all the pieces out on my Brother ScanNcut2. I colored all the pieces with Prismacolor Pencils. 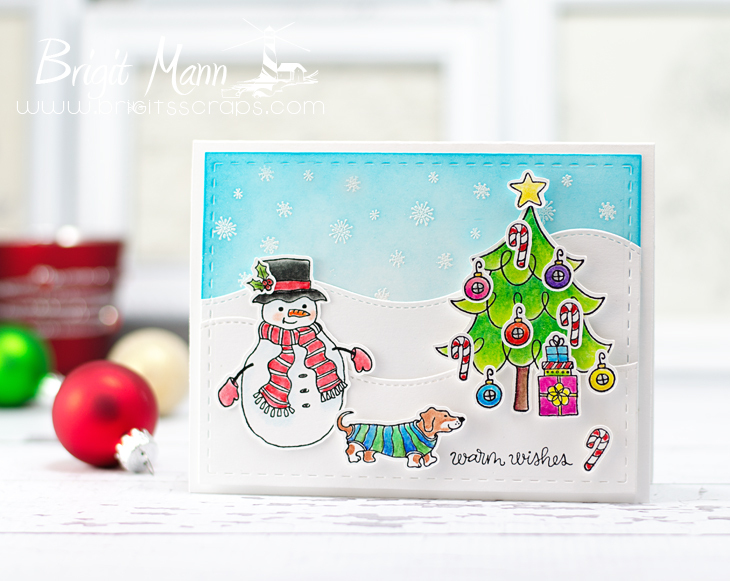 The background was created using the 3 snowflake stamps in the set with versamark, white embossing powder and some distress Ink. For the snow banks I used Lawn Fawn's Stitched Hillside Borders. Simon Says Stamps Let It Snow Challenge. Welcome Back to the 5 Day of Christmas from My Creative Time! "We are SUPER EXCITED to bring back another 5 days of Christmas! We will have daily AWESOME prizes so you might want to tune in each day so you won't miss a thing! All you have to do is leave your comments on each stop for an opportunity to WIN!" Check out what prizes are available today over at the MCT Blog! 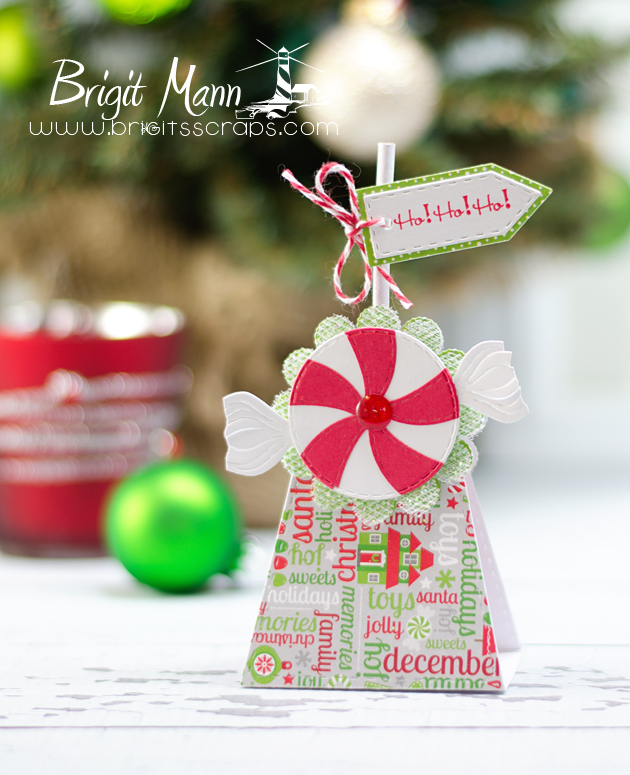 I have another peppermint candy project to share using different dies. I'd have to say peppermints are one of my favorite things to make at Christmas time. For this one I started with one of the Bunch of Fun Circle dies that's larger then the circle from the Scallop & Stitched Circle die. I glued 5 cutouts from top layer of the Stitched Umbrella die, it's the smaller side. I than centered the circle from the scallop stitched circle die and cut off the edges that are hanging over, this forms your peppermint. For the end wrappers I used the broom from the Wicked Fun dies, I just trimmed off the edges in a jagged cut, I added a red enamel dot in the middle. It really was super quick and easy to make and I really like how it came out.